Attention: Pass The GAMSAT or get a 100% refund on your GAMSAT Prep Material – that’s how confident we are! BRAND NEW 2019 – 2020 GAMSAT Home Study Course Which Covers Everything You Need For GAMSAT Success – 100% GUARANTEED! Re: 2019 – 2020 GAMSAT Preparation Books | Home GAMSAT Preparation Course! Well, let me tell you… This dream is 100% possible to achieve and my team and I at AceGAMSAT have helped thousands of students with their gamsat preparation. Our gamsat home study course consists of 16 gamsat preparation books and was created by our team of veterans and professors who have had a lifetime of experience with the gamsat. I can assure you nothing like this exists anywhere! There are no other gamsat preparation books that comes close to the extensiveness, quality, and precision of our entire Gamsat Preparation Home Study Course. I stand by this statement 100% and by using our gamsat preparation material there is no reason why you cannot score above 70 in the exam. You don’t know where to begin or which resources to use for your gamsat preparation. You’re overwhelmed by all the preparation you need to do for all three sections! On top of all this, you’ve probably heard from countless peers about how hard and gruelling this 5.5-hour exam can be. Or you may personally know someone who has failed the exam, or this may be your second… or third time sitting the exam. I know EXACTLY how you feel because I experienced these same things several years ago when I was preparing for the gamsat and I have personally coached hundreds of students who have had a range of similar concerns. When it comes to gamsat preparation, many students were simply spending most of their time reading widely and were not practising enough. The GAMSAT is a reasoning test and the only way to improve is by learning the relevant content, skills, and techniques, and then applying these to hundreds of gamsat practice questions. So… Why weren’t these students practising enough… or practising adequately? And why weren’t these students learning the required content for Section 3? 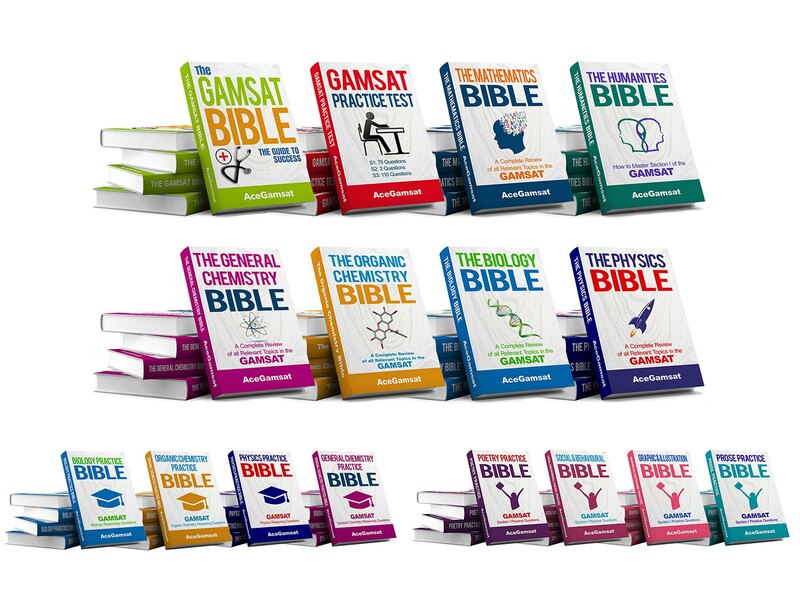 Overload of Science Content – Many GAMSAT Preparation books or study materials we found contained hundreds of pages of irrelevant scientific information that students are not required to learn for the gamsat. This can be very overwhelming for students and many of these resources were similar to the massive boring science textbooks you would find in your University library. Also, there were no GAMSAT-specific tips throughout these resources. Incorrect Question Type – A range of gamsat preparation resources we examined contained section 3 questions which tested the ability of students to recall specific scientific information rather than testing the students’ reasoning ability. Limited Question Count – The companies that offered Section 1 and Section 3 gamsat practice questions only offered a very limited number of questions. For students to get a good grasp of the various types of stimulus materials and questions in the gamsat, it is important to have access to 100’s of practice questions to attempt. As the saying goes, ‘practice makes perfect’ and this couldn’t be truer than for the gamsat. Limited Scope of Questions – Many of the gamsat questions offered by different companies did not cover all of the different types of texts found in section 1 and did not cover the most commonly tested scientific gamsat topics that appear in section 3 of the exam. Different Question Format / Difficulty – Many resources contain section 1 and 3 questions which are not the same format/difficult as the questions in the actual exam. It is crucial that the difficulty of the questions provided in these resources is similar to the questions in the actual gamsat as this will better prepare the students for the day of the exam. No Answers For Questions – We stumbled upon some resources which did not offer solutions to all questions! This is one of the most important aspects of continually improving your gamsat ability. It is crucial that students are provided with fully worked answers to all questions so they are able to respond to feedback and continually improve. Why Get One When You Can Get All? Learn Critical Thinking Skills – Equip yourself with critical thinking skills so you can quickly evaluate the evidence given in a variety of essay-based stimulus materials. This skill will allow you to think critically and determine the correct answer in the shortest amount of time. So, when you purchase your GAMSAT preparation books Home Study Course you will have access the most comprehensive humanities book which will cover everything you need to know for gamsat section 1. This biology study guide contains worked examples, which will enhance your understanding of the most common concepts that arise in the actual gamsat exam. With the purchase of your GAMSAT preparation books Home Study Course, you will have access to a guide that will teach you everything you need to know for gamsat biology. You’ll be equipped with the knowledge, advice, and tips so you can quickly and precisely tackle any biology question in the exam. After years of research, developers all the relevant organic chemistry content you need to ace section 3 of the gamsat exam. This organic chemistry study guide contains worked examples, which will enhance your understanding of the most common concepts that arise in the actual gamsat exam. This general chemistry study guide contains worked examples, which will enhance your understanding of the most common concepts that arise in the actual gamsat exam. This physics study guide contains worked examples, which will enhance your understanding of the most common concepts that arise in the actual gamsat exam. Full Scope of Questions – Enhance your ability and train yourself to respond to all the different types of texts you can receive in section 1 of the GAMSAT.